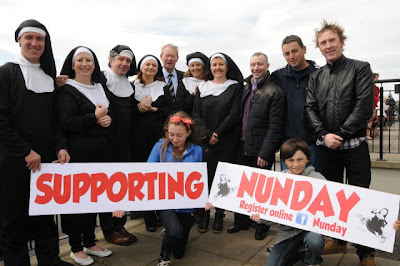 The registration fee is €20 per person and the registrants receives their official nuns outfit which complies with the Guinness World record guidelines which is a full nun habit, which includes black habit white coif, and black veil. Suitable black shoes must be worn which ARE NOT SUPPLIED. Nuns are required to gather in one place for 10 minutes. The official count will begin at 6pm at Listowel Emmets GAA grounds. Join in, and have a bit of Fun. This is an opportunity for the whole community to come together to break a world record, have fun and in doing so raise awareness and funds for Pieta House.